Cody Rhodes participated in a Starrcast conference call earlier today to hype the upcoming Starrcast weekend and “ALL IN” event, and during the call Rhodes addressed the future of the Bullet Club as their contracts are soon set to expire with ROH and NJPW. 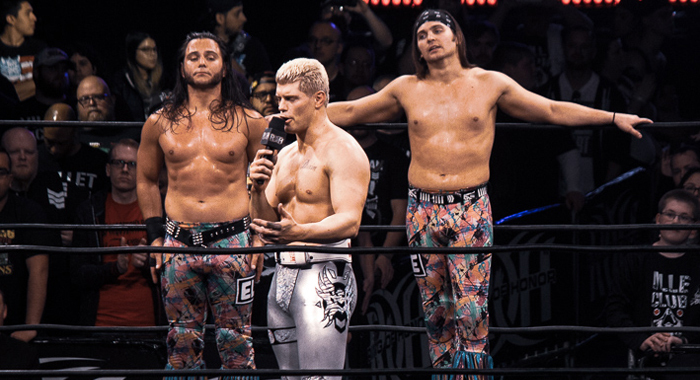 With regards to the Bullet Club’s contracts, Cody Rhodes and The Young Bucks will see their ROH deals expire at the end of the year, while Kenny Omega’s NJPW deal expires in January of 2019. The main reason why Cody, The Bucks, Omega, and Page are not being advertised for the G1 Supercard event at MSG is that their futures in ROH and NJPW are uncertain.